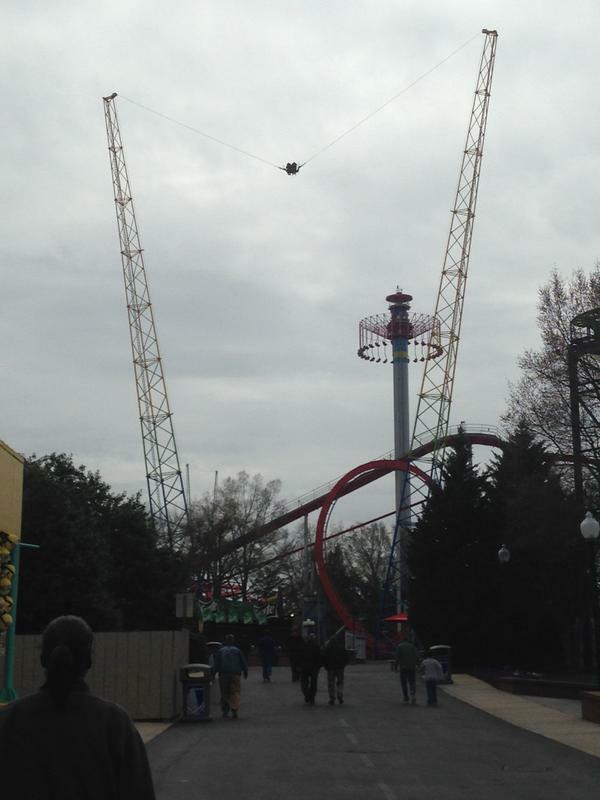 Today, Carowinds held their much anticipated media day for Fury 325, the park’s new B&M gigacoater which boasts the tallest roller coaster lift hill in the world. New Park President and General Manager Mike Fehnel gave and energetic welcome to the extensive local and national media showing. Following a welcome and “FaceTime call” from North Carolina governor Pat McCory and South Carolina governor Nikki Haley, the ribbon was cut on the largest B&M roller coaster ever built complemented by fireworks, smoke effects, and teal and purple confetti, certainly a nod to the nearby Charlotte Hornets. Media and guests then had their opportunity to ride. The seats of first 3 public trains out of the station were auctioned off to benefit the Cam Newton Foundation. 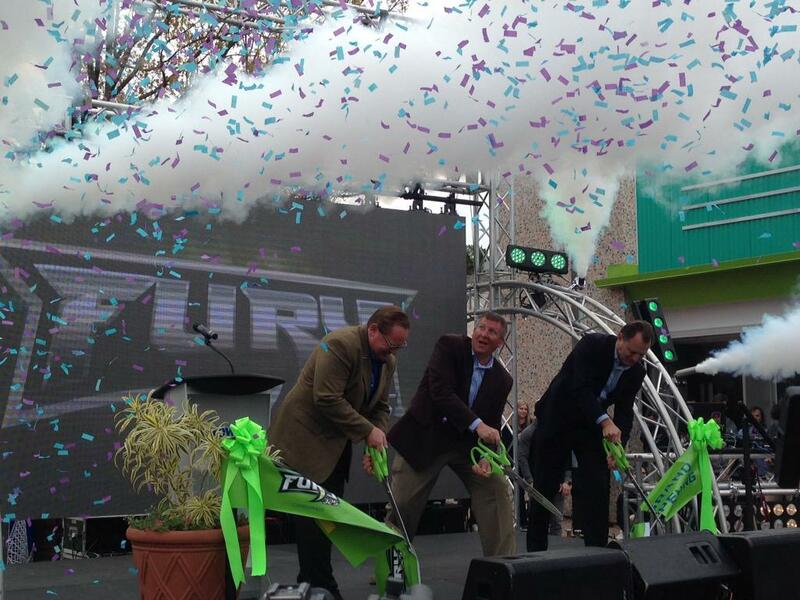 This was also the welcome ceremony for the brand new park entrance plaza and up-charge “Slingshot” ride. 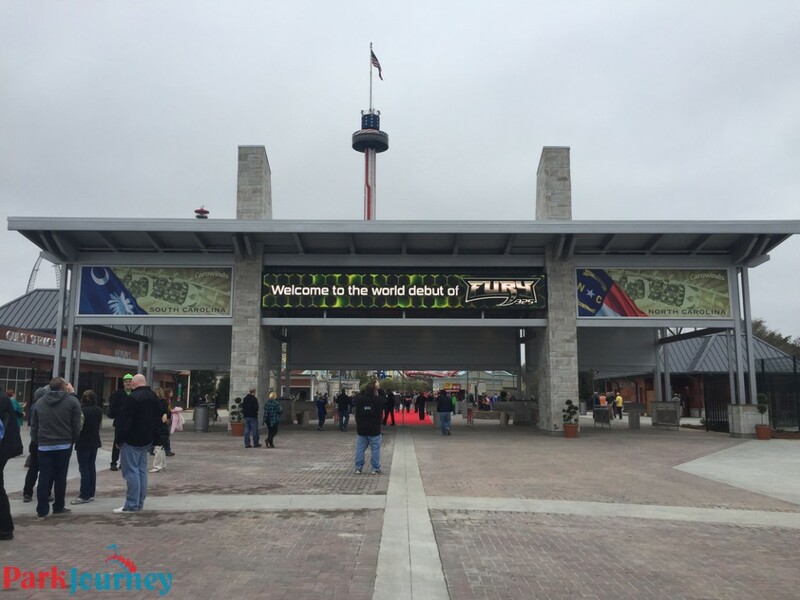 It’s easy to see Cedar Fair’s commitment to making Carowinds a premier thrill destination in the United States taking shape all around the park. At the end of the Fury opening ceremony Rob Decker, Carowinds’ Senior VP of Design said “our park will make a big splash” in August. Even more big things may be in the pipeline for Carowinds. Want to take Fury for a spin? Carowinds opens to the public this Saturday, March 28th. What are your thoughts on Fury 325? Leave your comments and Park Thoughts below!